BQ Aquaris X Pro has been officially announced. It came with good specifications and features that i know you would find interesting. Though, the name might sound new to some of us; but the fact here is that, it's a solid smartphone that packs almost all what a smartphone of this era should get. You can have a look at the full specifications as well as the price below. Price 370 EUR in Europe, $392 in USA INR 25,194 in India, CNY 2,705 in China, KES 40,533 in Kenya, N125,000 in Nigeria. BQ Aquaris X Pro Specifications. BQ Aquaris X Pro release date. 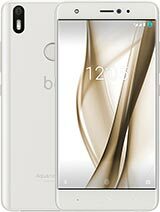 BQ Aquaris X Pro Price in Nigeria, Germany, India, China, Kenya. Madt specs. Bad battery. I don't trust the 3200mah sef.